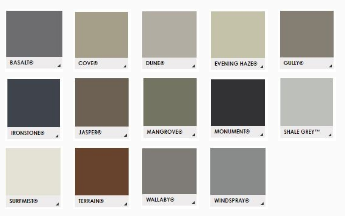 At Real Aussie Sheds, we use 100% Colorbond® steel colours available for application on your shed. Manufactured in Australia to Australian Standards (AS1397 and AS/NZS 2728), and tested in some of the toughest Australian conditions for 50 years. Sheds with Colorbond® steel offer a warranty period of up to 36 years*. 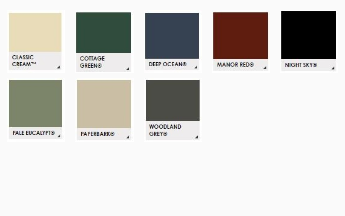 See how Colorbond® colours match up with your landscape here! 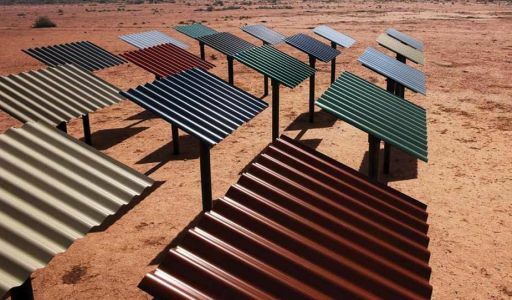 Colorbond® steel is developed and manufactured by leading Australian manufacturer, BlueScope Steel. It has been tested for 50 years in Australian conditions. Their steel has been assessed at outdoor sites around Australia, as well as in accelerated laboratory testings. This why Real Aussie Sheds offer the best steel sheds you can can buy.